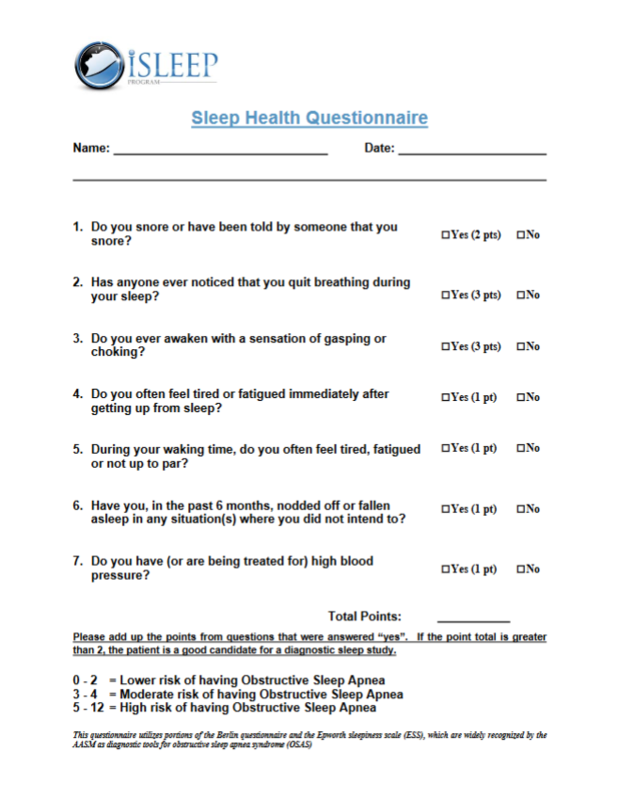 Our downloadable forms make it easy for you to take the driver seat to better sleep today. 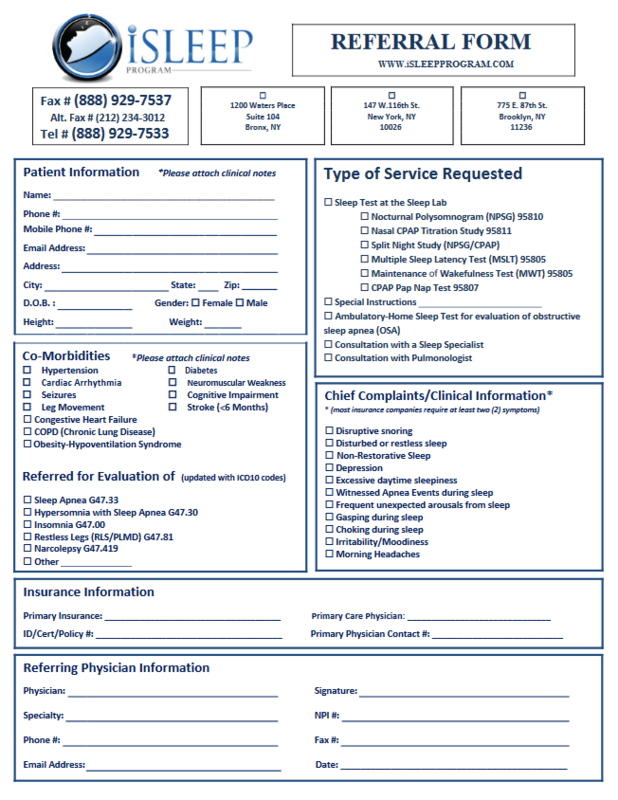 Simply print out the questionnaires and referral forms provided here. 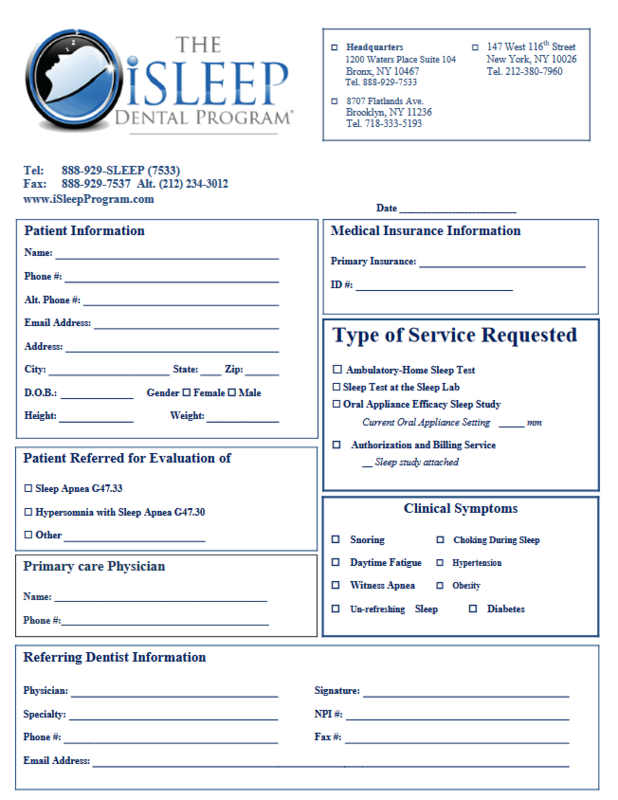 Take the referral form to your Primary Care Physician or Specialist and have that faxed over with your insurance information to our iSleep Program® Offices. Our knowledgeable staff will call you and walk you through the process to better sleep. *Fax all forms to 888-929-SLEEP.